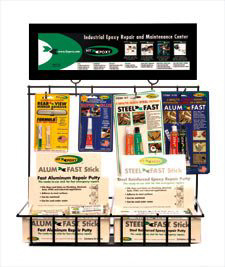 Fast curing STEELFAST® is the best product available when high adhesion and strength must be combined with heavy filling or surface build-up. It hardens to a gray metallic mass and adheres to most materials but not polyethylene. 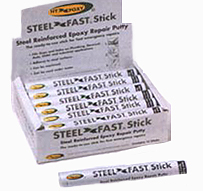 STEELFAST® is ideal for the quick repair of pipes, radiators and tanks that are not constantly exposed to water. H-7A 2.25 oz. (64 grams) tubes (2) printed in Arabic. 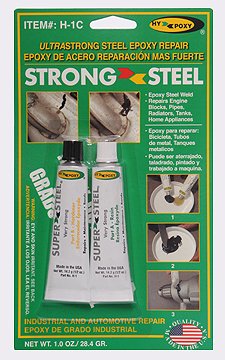 STRONGSTEEL® is the best material on the market for repairing pipes, radiators, tanks and engine blocks. It hardens to a gray metallic mass and adheres soundly to almost every material except for polyethylene. STRONGSTEEL® is unaffected by water, oil and gasoline and widely used by professional tradesman worldwide. 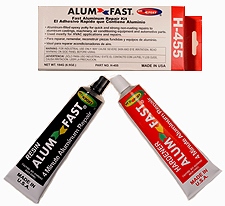 ALUMFAST® is a fast curing repair kit used for aluminum and copper pipes, valves, models, patterns and castings. 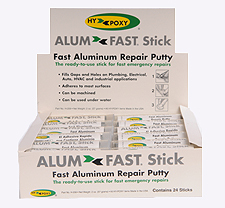 HY-POXY® ALUMFAST® can be machined, sanded, drilled and tapped which makes it a popular choice for automotive, plumbing and HVAC repairs. Because exact amounts of resin and hardener can be dispensed from each tube, the H-450 eliminates waste and is ideal for smaller repairs. The easy to use H-450 fits comfortably into any tool box and is extremely popular with HVAC tradesmen, plumbers and auto mechanics. ALUMBOND® is for similar applications as HY-POXY® STEELBOND® but where an aluminum non-rusting and non-magnetic finish is desired. 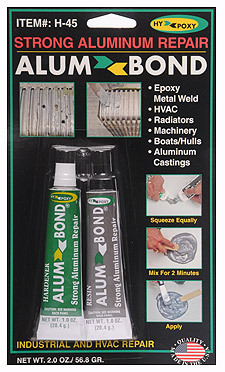 ALUMBOND® was specifically formulated to be used in HVAC applications for the repair of air conditioning system components, aluminum castings, machinery and equipment. 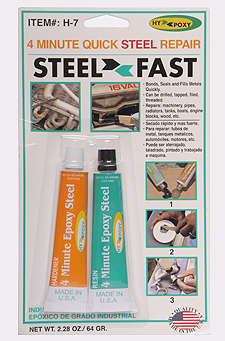 STEELFAST® Stick has infinite uses filling gaps and holes on plumbing, electrical, auto, HVAC and industrial applications as it adheres to most surfaces. 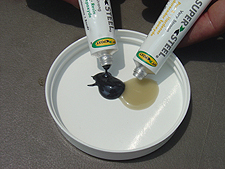 STEELFAST® Stick is an epoxy-based product that is extruded in a cylindrical form to include the hardener and resin for easy and assured no waste mixing. 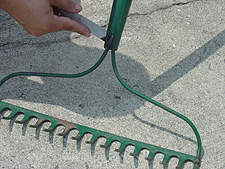 This easy to use product can be machined and used under water as well. 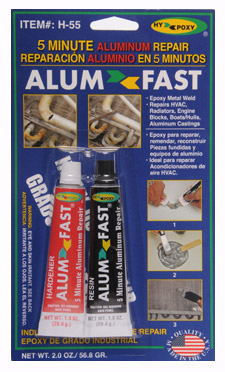 ALUMFAST® Stick has infinite uses filling gaps and holes on plumbing, electrical, auto, HVAC and industrial applications where a non-magnetic aluminum finish is desired. 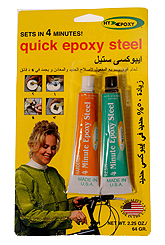 It is an epoxy-based product that is extruded in a cylindrical form to include the hardener and resin for easy and assured no waste mixing. 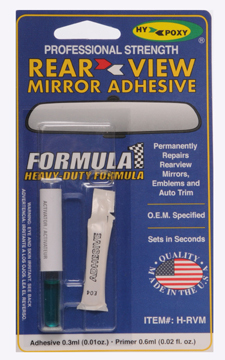 ALUMFAST® Stick adheres to most surfaces and can be machined and used under water as well. O.E.M. 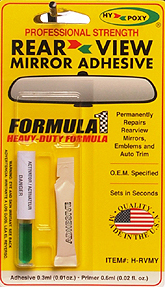 specified H-RVM permanently repairs rearview mirrors, emblems and auto trim. Safe for 02 sensors and catalytic converters. 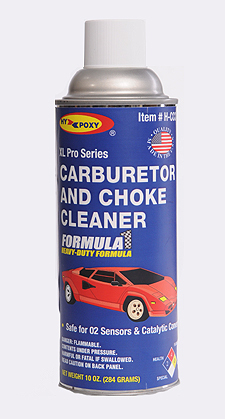 Easily loosens rust and corrosion and silences annoying squeaks.